Our 80 site family campground includes 12 sites on our 10 acre fishing lake. Only 6 miles from Salisbury & 3.5 miles from Wildlife landing at Dutchmans Creek. We have 70 sites with water and electricity; 50 of these have been upgraded to include 50 amp service. There are 3 primitive sites. Very secluded and quite and plenty for the kids to do at the park. This type activity helps destroy our lake by causing erosion. Does drinking ever make you drive crazy? Looking for the best boating access point? 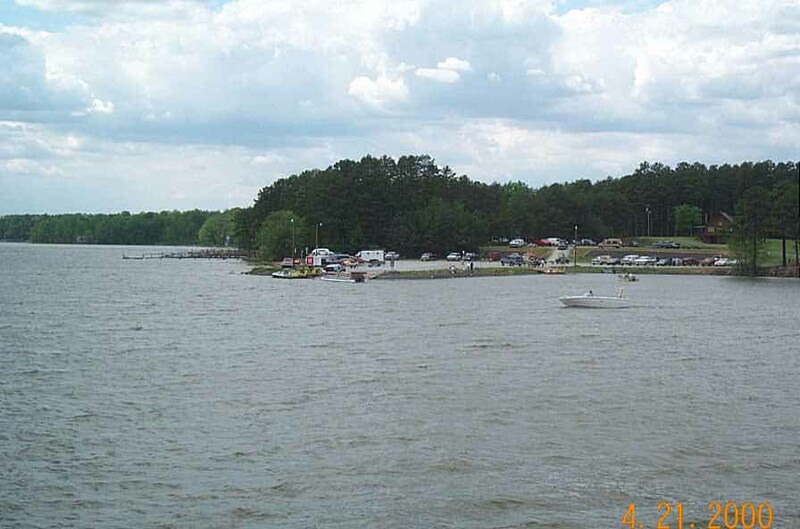 Check out our Boat Ramps page on side menu Bar. The fish are always biting on High Rock. Check out the fish picture pages. We maintain this website to help inform the traveling and sporting public to find all the great access areas of the Yadkin River Valley / Great Pee Dee River area. If you have a website related to recreation in this area Contact Us?subject=High Rock Lake">please click here. Looking for great places to waterfowl hunt this winter? Check out our Low Lake Pictures page on side menu Bar.